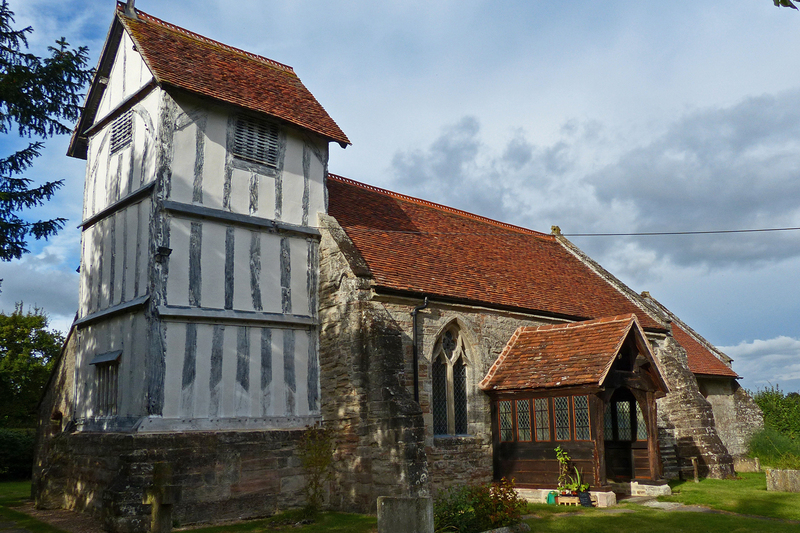 A 14th century medieval rural church with a timber framed tower from the 15th century. Restored 1899/1903. A Grade I Listed Building it features in Betjeman's Best British Churches (2011). St Nicholas Church, September 2013.
n.b. Full details of these books are on bibliography page. 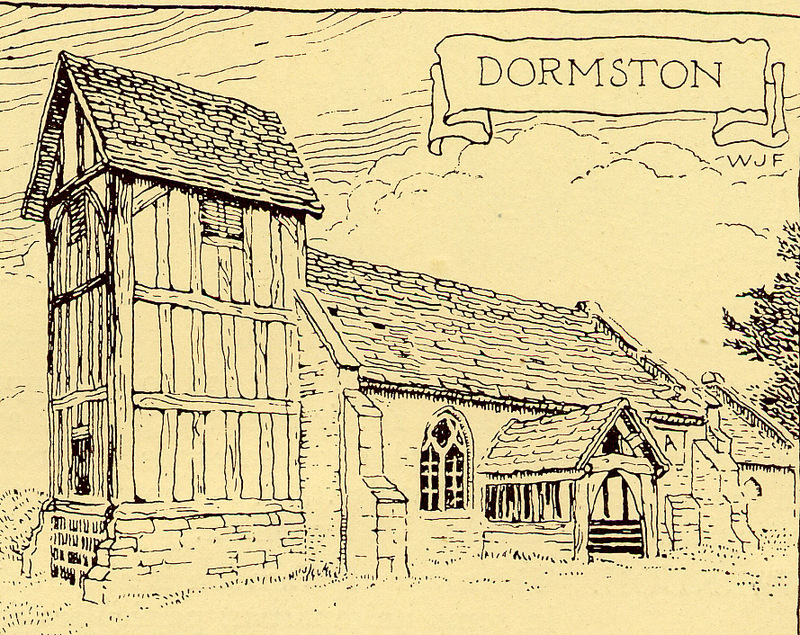 Websites: British History Online: Entry for Dormston. Nearby churches in this area: Cookhill, Inkberrow, Kington, Evesham Deanery. Click on red text for a link. External website links will open in a new window. Page updated January 2017.